CHARLESTON, S.C. - RiverDogs President and General Manager Dave Echols has announced the hiring of two new members of the RiverDogs Community Relations staff, announcing former Charleston Southern outfielder Chris Singleton as Director of Community Outreach and former RiverDogs intern Brooke Swetenburg as Community Relations Manager as the latest additions to Charleston's growing front office. While attending Charleston Southern University as a three-year member of the baseball team, Singleton became a nationally-renowned speaker whose message of forgiveness following the loss of his mother in the Mother Emanuel tragedy helped galvanize the Charleston community. The Goose Creek native was a standout player with the Bucs on the field, ranking among the top-20 in school history in hits and top-10 in stolen bases before being selected in the 19th round of the 2017 MLB Draft by the Chicago Cubs. The Goose Creek High product recently announced his retirement from the game as a player after finishing his second season in the minor leagues, appearing in 107 games with the Single-A South Bend Cubs last year. "Chris is a tremendous young professional that we are excited to bring aboard to the RiverDogs team," said Echols. "He is already a well-respected figure in the Charleston community and an accomplished public speaker that will help us expand our outreach to the Lowcountry as he continues his baseball career off the field." Swetenburg returns to the Charleston front office after working as promotions and fan engagement intern in 2017. Since her time with the RiverDogs, she stayed in the Lowcountry, working as a sports marketing intern with her alma mater, The College of Charleston, and as an Event Sales & Marketing Manager with the Magnolia Plantation Weddings. "Brooke showed a staunch work ethic during her time as an intern with the RiverDogs and has a magnetic personality that our fans will connect with as she branches out in the community," said Echols. "Her experience in working with fans at The Joe will help her seamlessly transition into an outreach role in community relations." Both of Charleston's latest front office additions will work closely with Director of Community Relations Walter Nolan-Cohn on the club's various community outreach efforts including the Reading Around the Bases program with the Charleston County School District, the Berkeley County School District Festival de Lectura reading program, staff volunteer events around the community, and Youth Baseball Night on April 22, among others. Singleton in particular will work closely with the RiverDogs' commitment to youth baseball development in the Lowcountry. 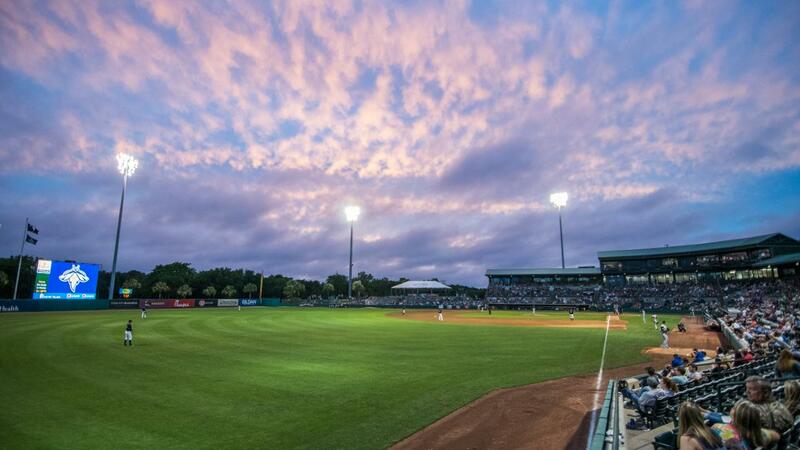 Fans can "Make Fun" with the RiverDogs all season long when they open their home slate on Thursday, April 11 against the Greensboro Grasshoppers to kick off a weeklong homestand at The Joe. Single-game tickets, including options to the Riley Park Club, are now available at riverdogs.com/tickets or by contacting the RiverDogs front office at 843-577-3647 (DOGS). A full schedule and list of game times for the 2019 season is available atriverdogs.com.